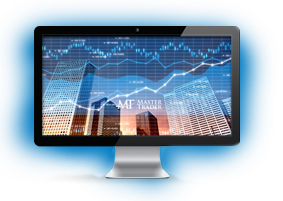 We swing and position trade stocks and options using Master Trader Technical Strategies (MTS) to generate wealth and income from Directional and Option Income Trades. Directional trades will generate more profit when supported by the technicals on multiple time frames. Income trades, however, are easy to find, manage, and profit from. We generate weekly income from selling options and credit spreads, profiting from rapid time decay for merely calling a top or bottom on a stock or ETF for days! This video shows you the many bullish patterns we have traded or monitored recently giving high-probability setups for selling puts and put spreads. And doing it in high volatility environments like now is preferred since we get paid more for taking risk with high fear! As options sellers, we take the buyers’ money and get “Paid” by simply making a prediction of where the Stock will NOT go in a few days. For the educated trader, winning trades are systematic; for the uneducated, they are awaiting to empty your pockets.